For nine years Franklin was my favorite friend as his presence gave exceptional value to the undersea experience. 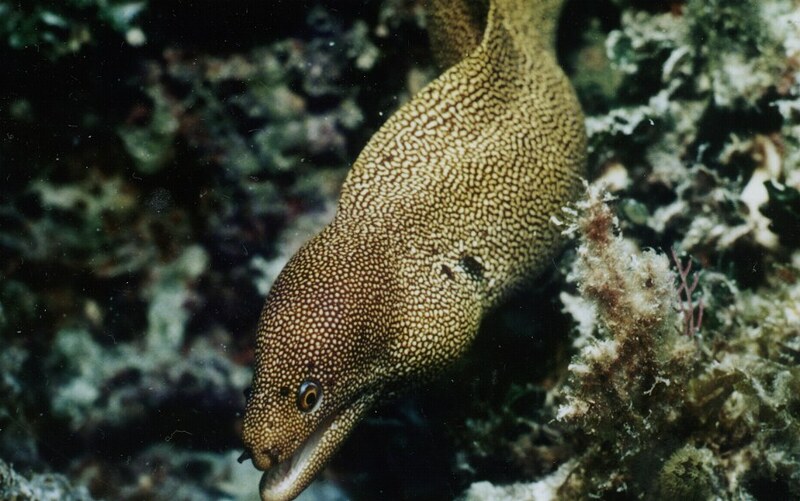 Unlike other eels he would come out with confidence and I would guide him from hand to hand to the food jar at the end of the line. Folks would want to flinch and draw their had back out of fear. However, once the head was past them and they could feel Frank’s smooth silky body, I witnessed looks of amazement and enjoyment. Frank’s special niche is supposed to be in the reef , coming out at night to rely on smell and touch.